My pantry is always stocked with Amour Spreads marmalades, jams and jellies. The scrumptious Amour Spreads flavors elevate any muffin or piece of toast, but are also very versatile and have become a key component in many of my cooking recipes. They lend bold flavors to sauces, glazes, and such. 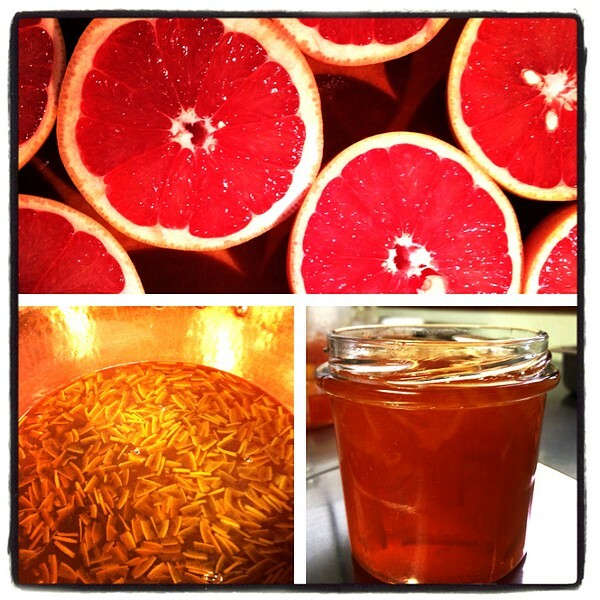 The latest mouthwatering flavor to emerge from the Amour Spreads kitchen (aka John and Casee Francis' place) is Ruby Red Grapefruit Marmalade ($8/4oz. jar). It's a thick-cut, British-style, bitter (intentionally) marmalade brimming with citrus flavor. According to the Francis's, owners of Amour Spreads, "Thin slices of grapefruit rind is cooked until soft, and is perfectly suspended in the jelled, bright red grapefruit juice." As always, Amour Spreads products are made primarily with fresh Utah mountain-grown fruit, organic cane sugar and organic lemon juice, hand-made in small batches using traditional copper jam pans. Visit Amour Spreads online at AmourSpreads.com.